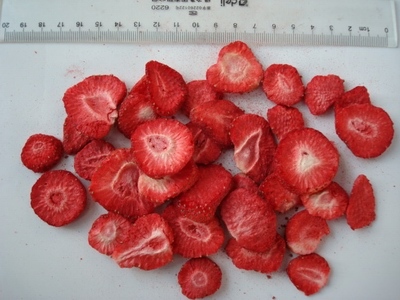 ﻿ Freeze Dried Strawberry Slice manufacturers, Freeze Dried Strawberry Slice exporters, Freeze Dried Strawberry Slice suppliers, Freeze Dried Strawberry Slice OEM service. Freeze dried strawberry is our company advantage products. We have our own strawberry base. This products wite PE bags inner, wite carton packing.